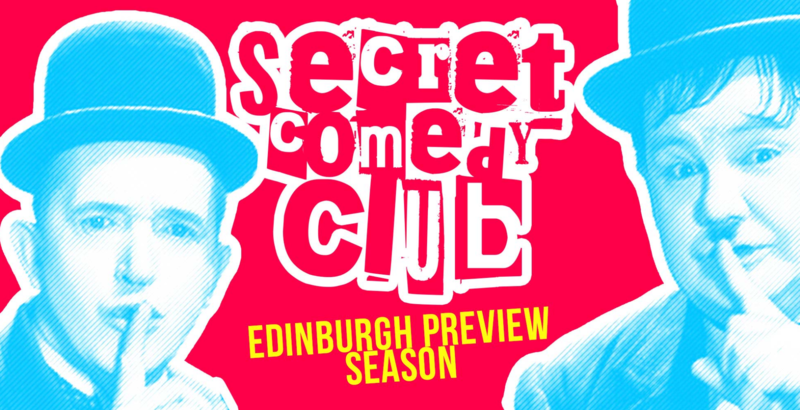 Throughout July from Thursday to Sunday we are lucky enough to have some amazing acts doing double bills of their Edinburgh Fringe Festival Previews for us here at The Secret Comedy Club. Brighton & Hove, Sussex.That is two awesome hand picked acts for the price of one! Plus we have support from some incredible up and coming talents. They are all just doing one show each so watch as many as you can because this line up is pretty awesome and you don’t want to feel like you missed out after! You could literally watch all of these great shows and it will still be cheaper than going all the way out to Edinburgh for even a day or two! Doors 7pm / Start 8pm . The format is a headliner double bill with an MC and warm up act.